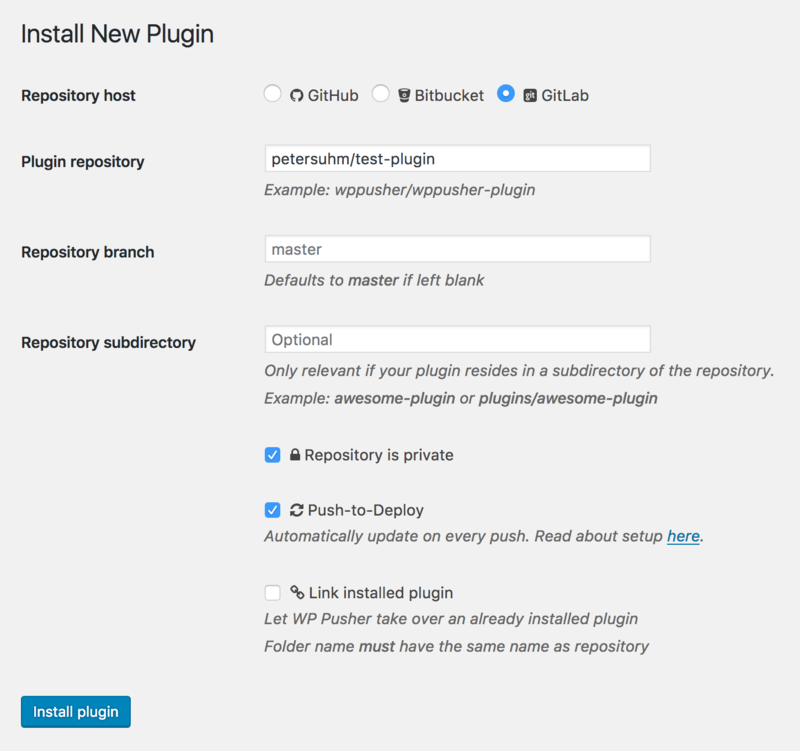 Installing a plugin or theme from GitLab is super easy with WP Pusher. In this guide you will learn about how to setup GitLab and how to install your first plugin or theme. 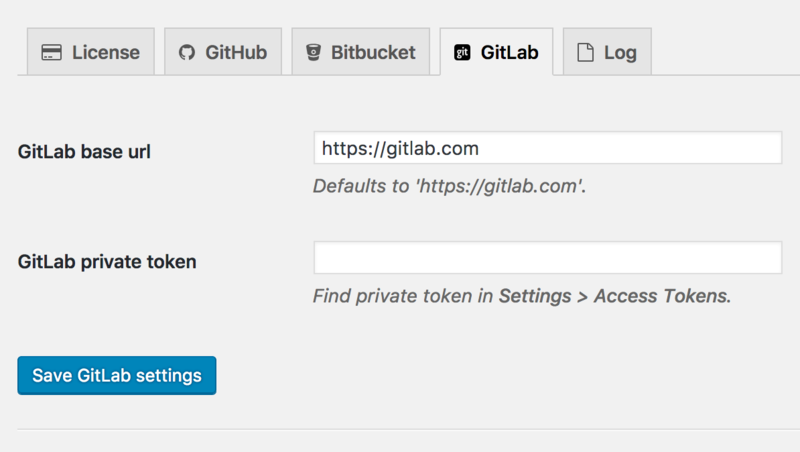 Paste the token in the "GitLab private token" field and click "Save GitLab settings"
If you are using a self-hosted version of GitLab, you will need to save the base URL of your GitLab instance under the GitLab settings in WP Pusher. Repository is private: Check this option if your plugin/theme is in a private repository. Requires a license and a GitLab token (see above). Push-to-Deploy: Check this option if you want WP Pusher to automatically update the plugin/theme every time you push new code. For GitLab, this needs to be configured manually.